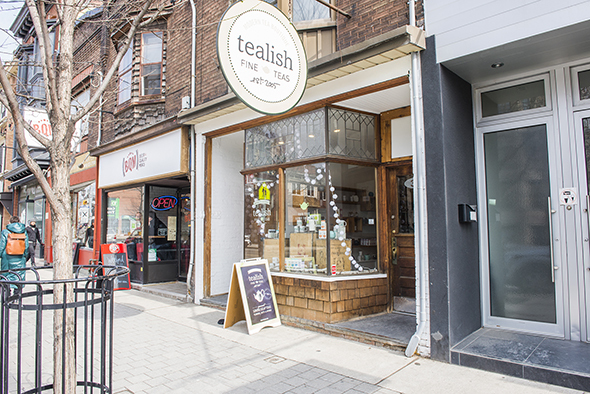 Tealish first opened near Trinity Bellwoods but has since settled into a location on Roncesvalles. 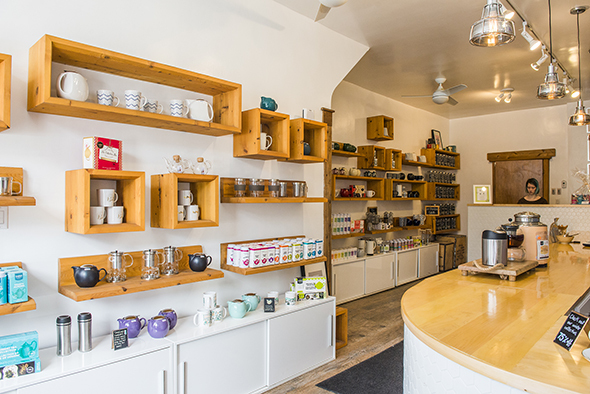 Offering a dazzling selection of over 100 teas, the shop boasts a colossal collection of flavours to surprise even the shamans of tea drinking society. Tea isn't just a drink in Tealish; it's a religion around here. Inside, the decor feels like a Mother's Day card in Hallmark; adorable, glossy and full of frill. 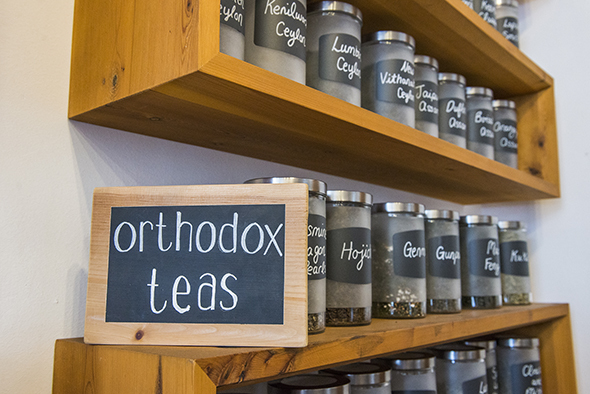 I meander past the dessert collection to the "Orthodox" teas, an entire shelf dedicated to all-natural and whole leaf blends. 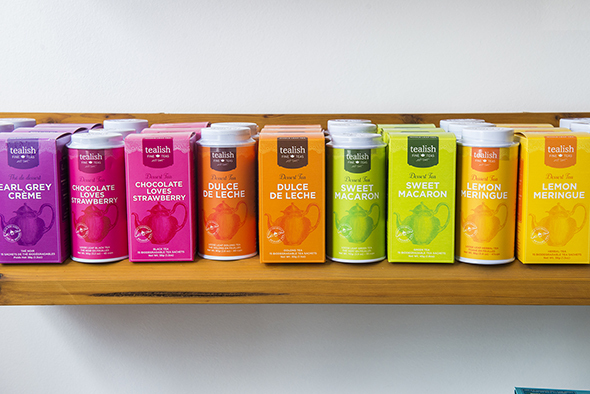 Behind the front counter, bright tins of tea shine proudly in rows of green, black, herbal, oolong, and rooibos. 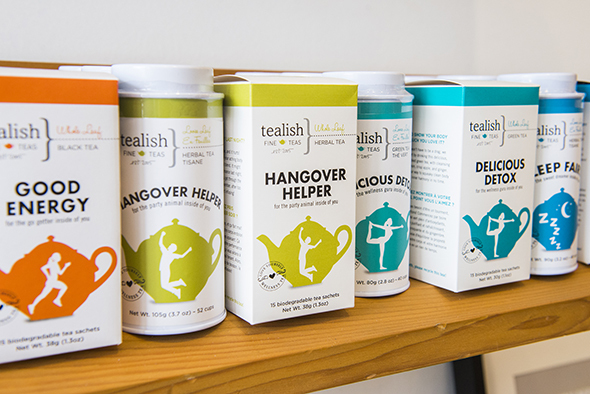 It's no surprise that Tealish is also sold at Indigo, Whole Foods and Hallmark. 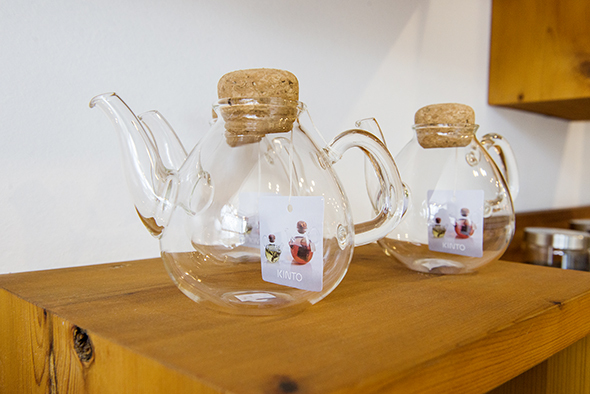 Tea is flooding Roncesvalles with nearby David's Tea brewing up competition down the street. With so much to offer, it's no wonder the one other customer in the store, a woman on her way home from a yoga class, spent more than half-an-hour asking questions to the associate on duty. Ensuring "the highest quality" tea flavour, Tealish offers aromatically potent combinations of nuts, fragrances, whole fruit pieces, flowers petals and ingredients like Jasmine Dragon Pearls that blossom while steeping. 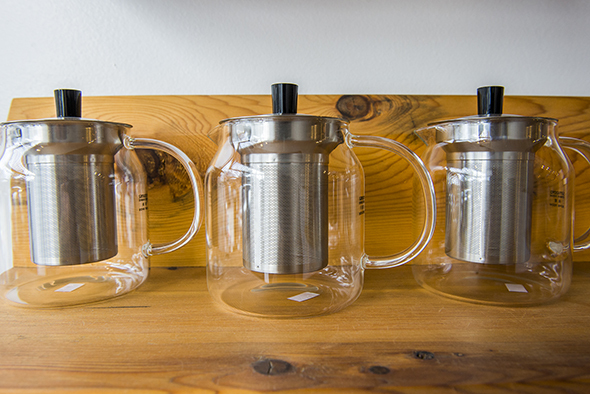 There's also plenty of brewing accessories to turn a tea party into a full-body ayahuasca ceremony. This tea store isn't joking around. 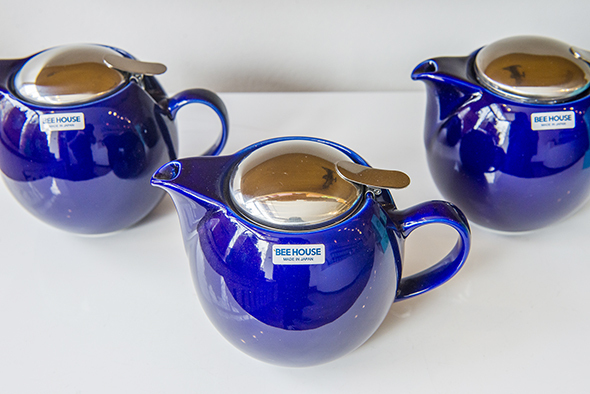 "We also sell Beehouse, a brand of ceramic teapots made in Japan. 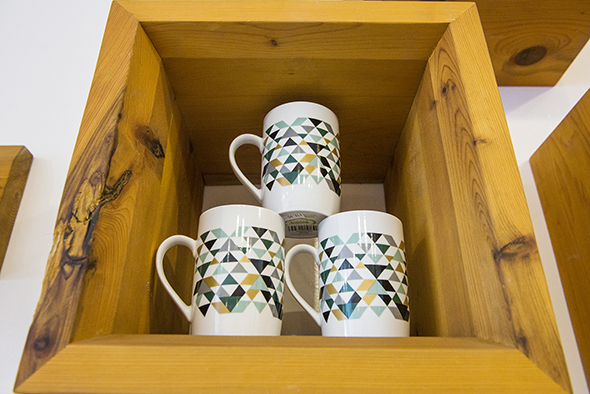 You can't find them anywhere else, and they're made for tea rituals," explains store manager Angel Riccio. The cherry red 26oz mug is pricey at $54.95 next to other brewing accessories like stainless steel mesh infusers ($7.95), Matcha whisks ($22.95), and Urban Outfitters style cups ($10.95) and travel mugs ($39.95). On the menu, must-try teas ($3.41) include the Toasty Almond, a herbal dessert tea that smells like a vanilla cupcake with a pinch of cinnamon spice. Next up, there's the Electric Earl Grey, a gourmet black tea with double the bergamot. For those looking for a whole-leaf hangover cure, The Hangover Helper is an easy herbal blend that's fancier than water and soothing! Oh, and let's not forget about the iced teas ($3.94). Let your spirit free with Lavender Mint or feel weightless with Fairy Dust. I could keep on writing and tell you more flavours, but hopefully by now you get the point: there's a lot. Blending ritual with high potency concoctions, Tealish is a sanctuary for anyone looking to spend 45 minutes searching for the "perfect" tea. Take off your jacket and get comfortable; it might take a while.